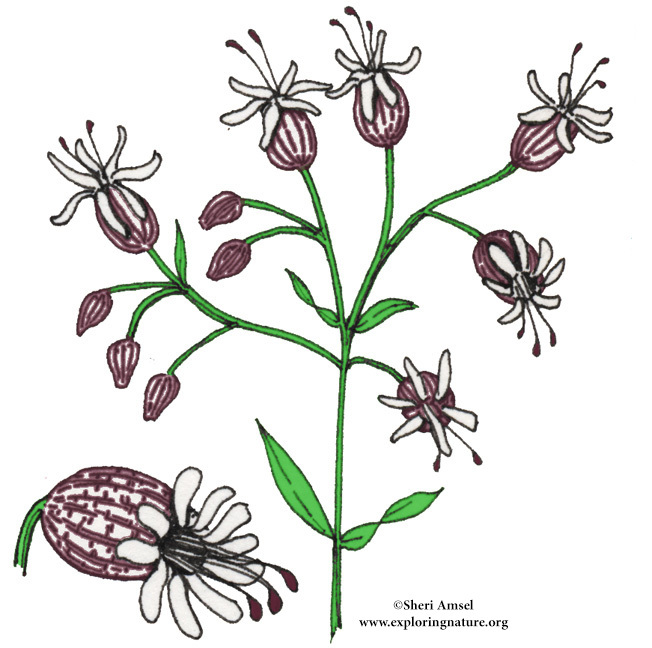 They are found in fields and along roadsides. 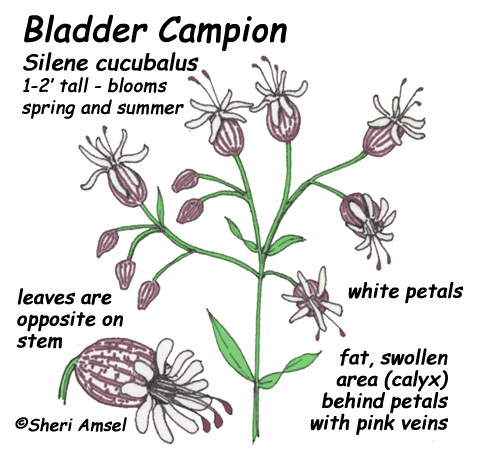 The white flowers have a fat, swollen area (calyx) behind petals that have pink veins. The flowers sit in loose bunches on top of the plant. The leaves sit across from each other (opposite) on the stem. They bloom May through August.